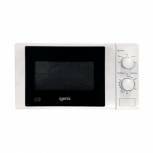 Igenix 20 Litre 700w Manual Microwave White IG20701 Pack of 1 Micromark compact microwave oven with manual controls. 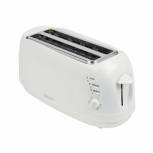 700W microwave with 5 power levels and defrost function. 20 litre capacity. White. H282 x W470 x D330mm. Specification may vary. 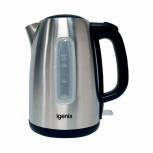 Igenix 1.7 Litre Jug Kettle Brushed Stainless Steel IG7731 Pack of 1 Cordless jug kettle with 1.5 litre capacity, concealed heating element, removable filter, neon power on indicator, water gauge, hinged safety locking lid, 360? rotational design and cable tidy in the base. 3000W. (Specification may vary). 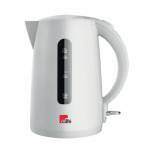 White 1.7Ltr Cordless Jug Kettle Pack of 1 Cordless Jug Kettle. 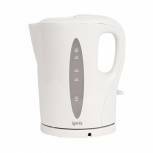 Automatic switch off cordless kettle with boil dry cut out for extra protection, easy grip handle, spout fill, removable filter and water level indicator visible from both sides. Capacity - 1.7 litres. (Specification may vary). 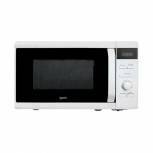 Microwave Oven 800W White IG2082 Pack of 1 Microwave Oven 800W. 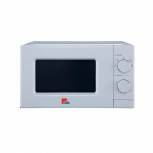 Touch control microwave oven. 20 litre capacity. 5 power levels. White. Igenix Under Counter Fridge With 4 Star Ice Box 50cm IG350R Pack of 1 Igenix Under Counter Fridge 4 star Ice Box 50cm. Tempered glass shelf. Transparent crisper. Separate chiller compartment. Ice box.Reversible door. Adjustable feet. 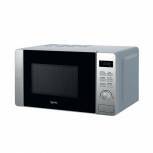 Igenix 20 Litre 800w Digital Microwave Stainless Steel IG2060 Pack of 1 Daewoo Microwave Oven 800W. 10 variable power levels with CRS.800W cooking power.4 autocook menus. 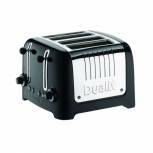 Igenix Toaster 4-Slice FCL4001/H Pack of 1 Variable Browning control. Automatic pop up. Easy clean hinged trays. Cancel button. (Specification may vary). 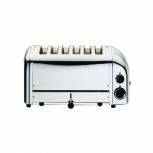 Igenix 4 Slice Long Toaster 149527 IG3020 Pack of 1 Igenix 4 Slice Long Toaster. 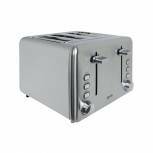 Reheat defrost and cancel buttons.Slide out fixed crumb tray for easy clean.Variable width and self centering deep slots.Cord storage. 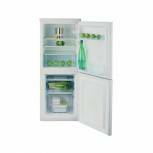 Statesman Upright Larder Fridge White 55cm TL235LW Pack of 1 Statesman Upright Larder Fridge White 55cm. 4 shelves.Interior light. Fruit & vegetable crisper. Mechanical control.Frost free. 235L storage capacity. 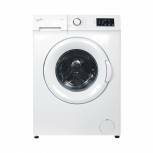 6kg 1200RPM Washing Machine White XT61230W Pack of 1 Freestanding washing machine. Maximum cotton capacity: 6kg. Maximum spin speed: 1200rpm. Dimensions: 85 x 59.6 x 54cm. 20 wash programs. Energy rating: A. Non returnable. 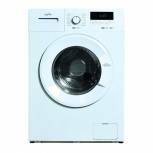 MX Series Washing Mac 1000rpm A/AC White MXW10352 Pack of 1 MX series washing machine. 5.2kg load capacity. 15 wash programs. 1000 RPM spin speed. Colour: White. Non returnable. 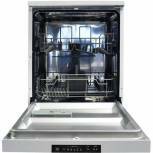 60cm 12 Place Dishwasher White SFD12P Pack of 1 12 place freestanding dishwasher. 4 wash programmes. 3 temperatures. Salt refill and rinse aid indicator. Easy clean filter. Cutlery basket. 60cm wide. Energy rating: A/AA. Non returnable. 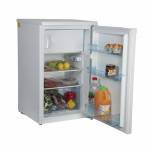 Alpine 50cm 50/50 Fridge Freezer Alpine White F1350APW Pack of 1 Alpine free standing fridge freezer. 50cm wide. 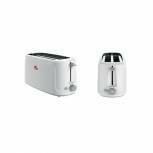 Suitable for kitchens where space is at a premium. Salad crisper and door furniture. Auto defrost. 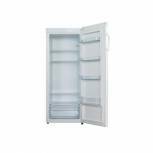 90 litre fridge capacity, 45 litre freezer capacity. Non returnable. 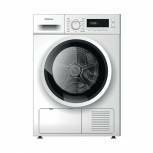 Condenser Tumble Dryer White ZXC683W Pack of 1 Condenser tumble dryer. 8kg load capacity. Sensor drying and progress indicators. 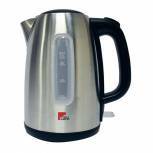 Low heat function, child lock and reduced ironing function. Delay start and time remaining. Non returnable.